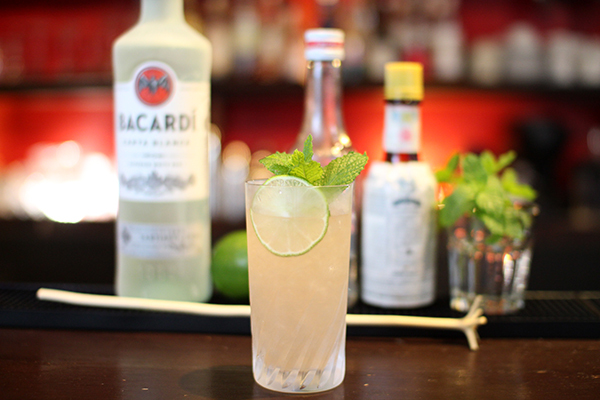 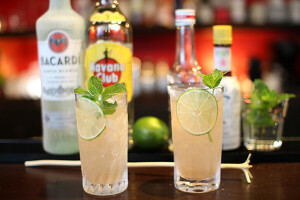 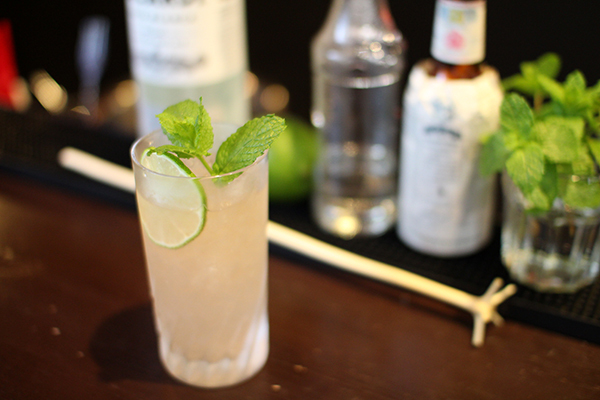 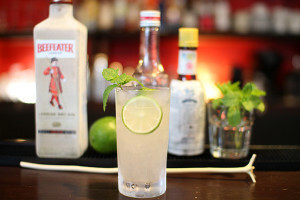 Build all ingredients with crushed ice using swizzle stick.Garnish with lime slice and mint. 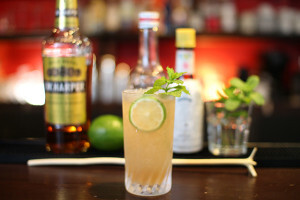 Today’s cocktail is Rum Swizzle. 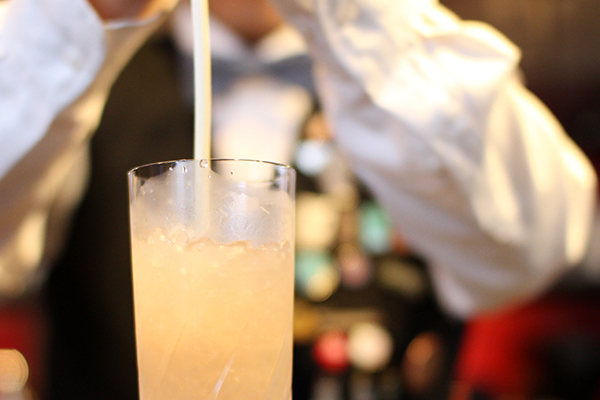 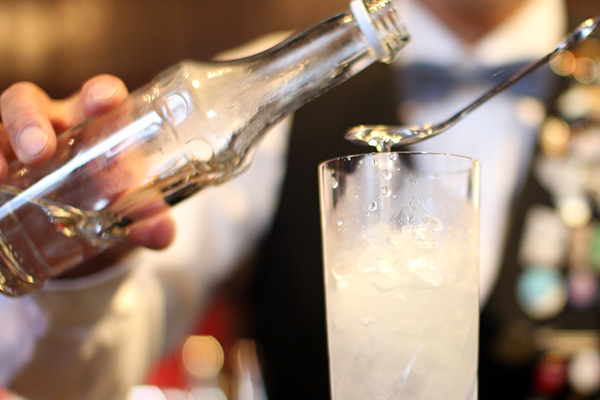 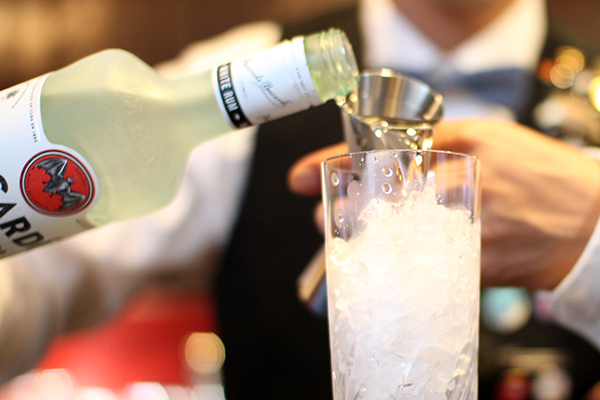 Pour 45ml of white rum into a glass with crushed ice. 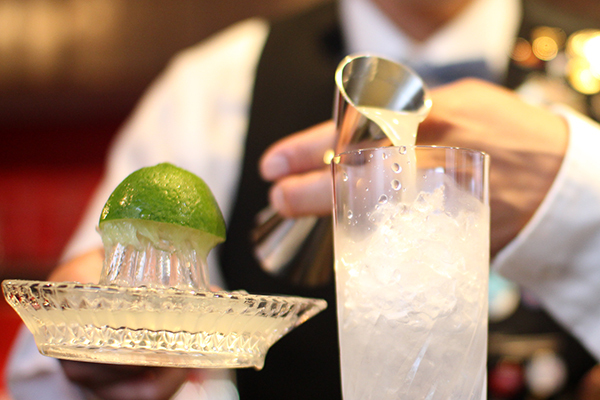 Pour 20ml of lime juice. 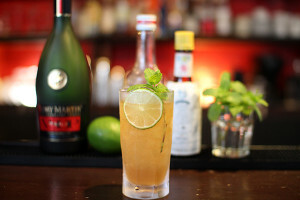 Pour 1tsp of simple syrup. 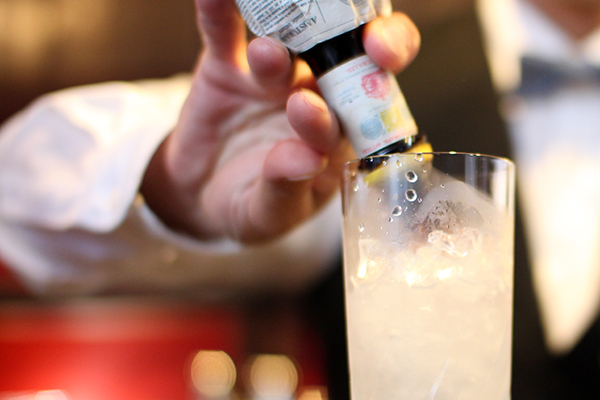 Pour 1dash of angostura bitters. 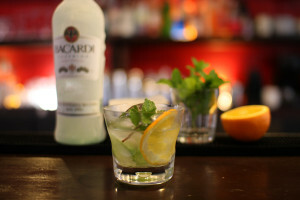 Using swizzle stick mix well.Garnish with slice lime and mint.